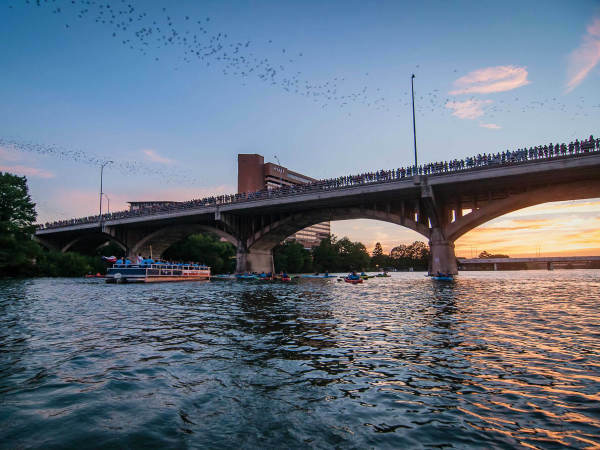 A new initiative at the Amon Carter Museum of American Art will champion local artists while connecting more people to the Fort Worth museum. 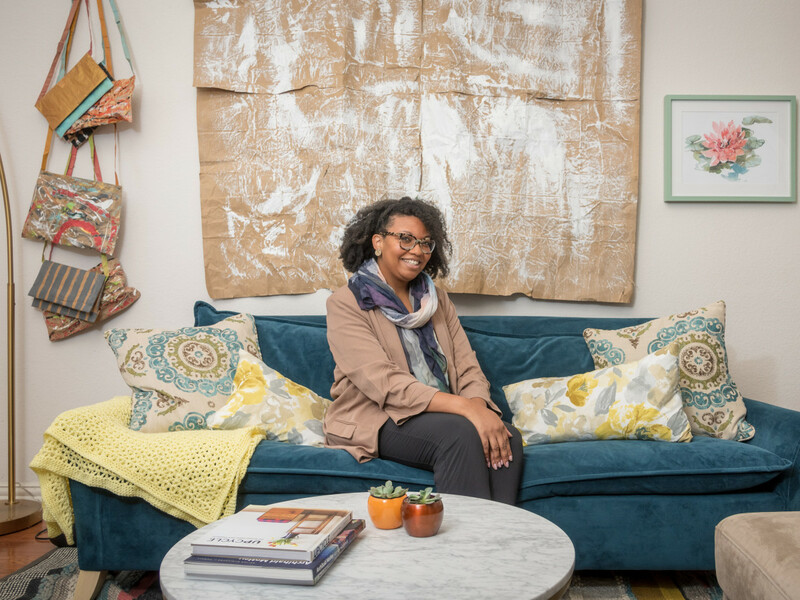 Through the new Carter Community Artists program, the museum will look beyond its own walls and select four area artists to help with planning and leading programs on site, off site, and digitally. At the same time, the museum will help forge relationships among artists working in the Fort Worth area who may know of each other but have not previously worked together. A win-win for everyone. The artists chosen for the inaugural year of the program are Christopher Blay, Lauren Cross, Diane Durant, and Arnoldo Hurtado. "Throughout the year-long commitment, participating artists will be involved in a variety of projects and programs for children and adult audiences, with the flexibility to adapt to each artist’s particular areas of practice and expertise," the museum says in a release. Of particular importance, the museum says, will be the artists' work with local students. "Working in partnership with Amon Carter museum education staff, each artist will have the opportunity to be involved in developing and leading afterschool, homeschool, and summer programs; teacher workshops; and recording sessions for the museum’s distance learning program, which reaches students of all ages around the globe," the museum says. 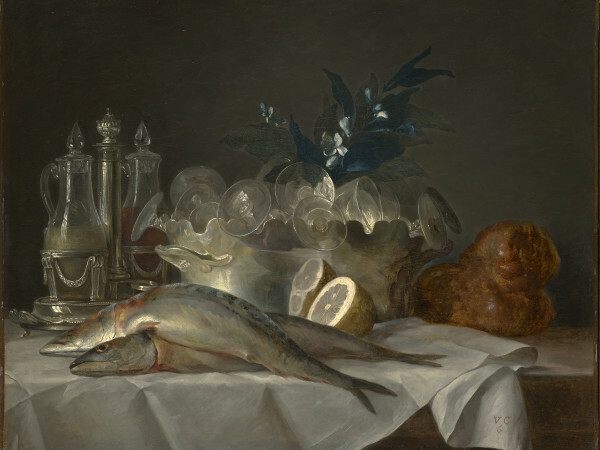 The content produced through the project may be used on school tours, in digital assets, or in interactive materials such as gallery exploration kits designed for visitors to engage in a self-guided experience, they say. 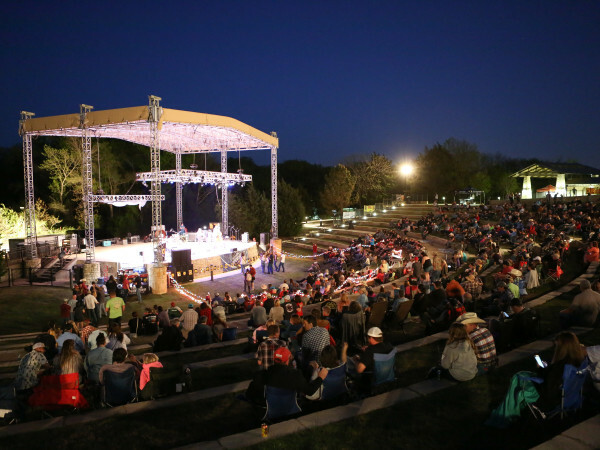 Over the course of the program’s commitment — each October through the following September — the artists will meet six times to discuss and develop concepts and programs. Applications will be available each May and will be reviewed by a committee of museum education and curatorial staff, with selections announced in August of each year. Christopher Blay is an artist, writer and curator with a BFA from Texas Christian University (2003). He curates the Art Corridor Gallery at Tarrant County College Southeast and is an art critic for Glasstire. His work incorporates photography, video, sculpture, and performance, and his most recent work, Portraits With Strangers, is Blay’s return to photography, focusing on the mechanical and mediated process that creates an image. Two other recent projects, KWTXR, exhibited at UNT on the Square gallery, and The Seven Deadly Things at 500X Gallery are based on the fictional character Kara Walker Texas Ranger, and responds to historical violence against African-Americans. Blay’s ongoing public art project on East Rosedale Avenue in Fort Worth and his Coombs Creek Park sculpture Dindi (for Annibel) are two projects that connect the artist’s work to public spaces. 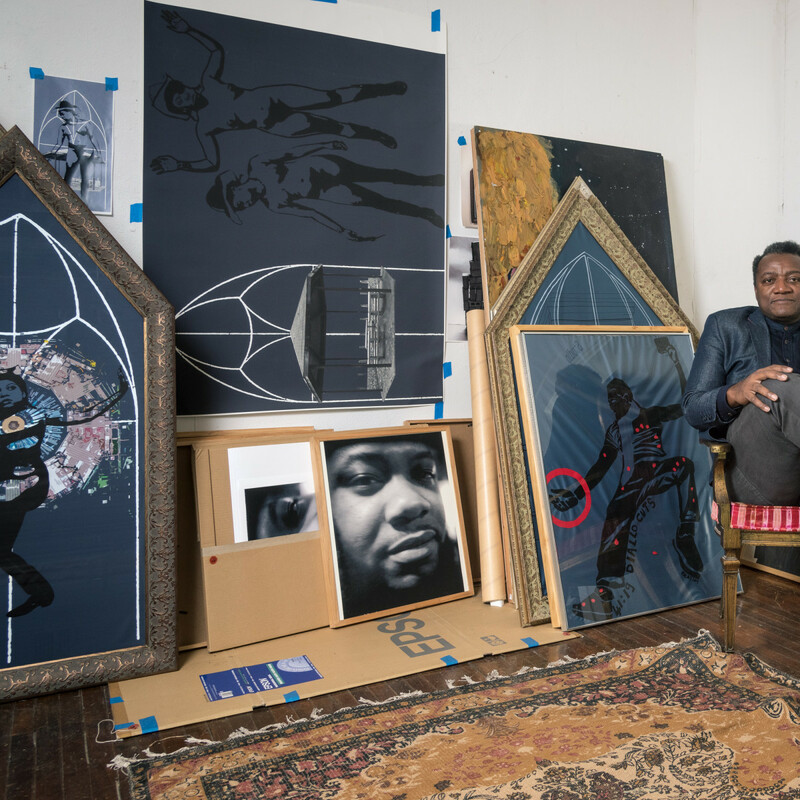 In 2013, Blay received the SMU Meadows Museum’s Moss/Chumley award for his “proven track record as an active community advocate for the visual arts,” and the Nasher Sculpture Center’s Artist Microgrant in 2015. 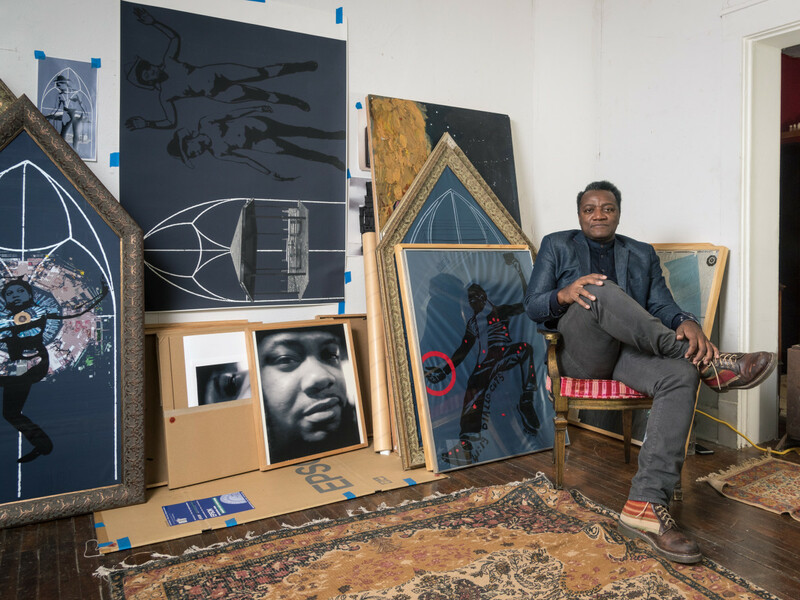 Blay was also the Spring 2017 Visiting Artist at the Dallas Museum of Art’s Center for Creative Connections, and is the first guest curator at Fort Worth Contemporary Art. Lauren Cross is an artist, curator, and scholar, whose interdisciplinary artistic practice and scholarly work addresses gender and critical multicultural approaches in arts practice, arts entrepreneurship, curatorial studies, museum studies, and art history. Cross holds a BA in Art, Design and Media from Richmond, The American International University in London, England (2006); a MFA in Visual Arts from Lesley University in Cambridge, MA (2010); and a PhD in Multicultural Women's and Gender Studies from Texas Woman's University (2017). 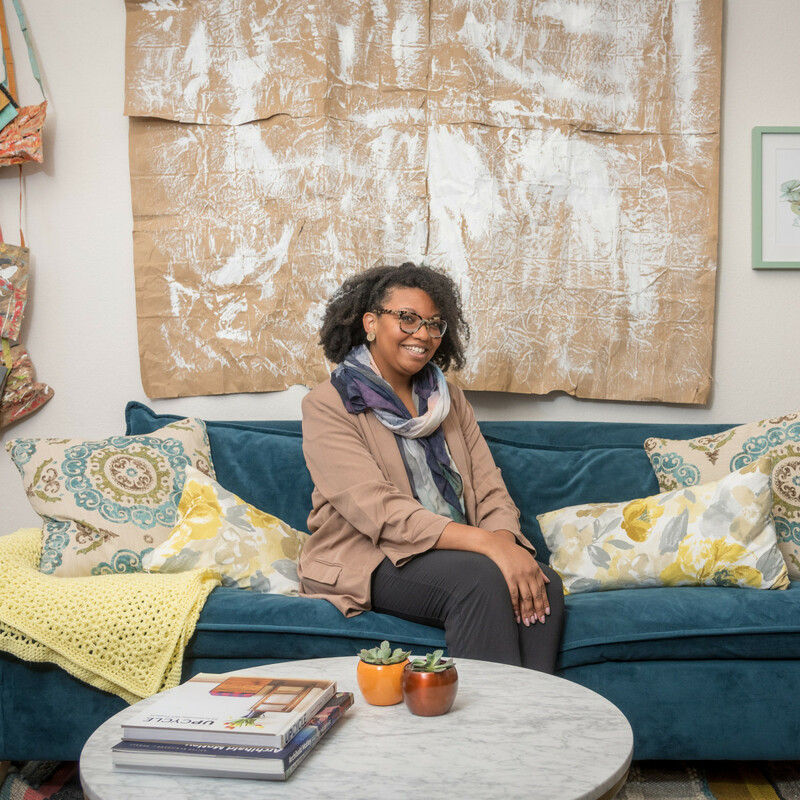 She is currently Program Coordinator & Senior Lecturer for the Department of Art Education + Art History's Interdisciplinary Art and Design Studies (IADS) program, and the founder of the arts non-profit WoCA Projects in Fort Worth. 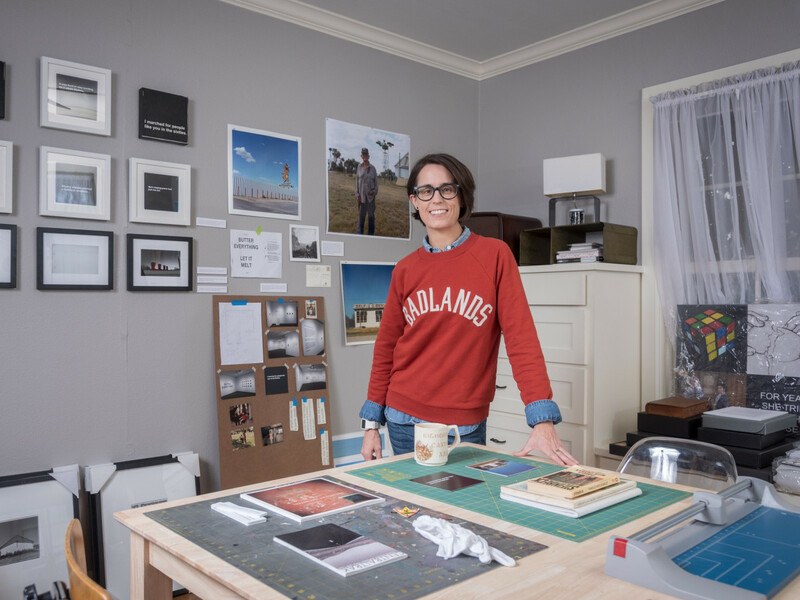 Photographer Diane Durant earned her BFA from Baylor University (2001); MA/BC from Dallas Theological Seminary (2004); and MA and PhD from the University of Texas at Dallas (2007, 2013), where she currently serves as Senior Lecturer in Photography and Assistant Director of the Photography Program. She is the former president of 500X Gallery and past editor of The Grassburr, The Rope, Sojourn, and Reunion: The Dallas Review. In 2017, she edited and wrote the introduction for Rozafa's Milk, an anthology of poems from the Albanian-American Society of Writers published by Mundus Artium Press. Durant’s photographs have been included in Sun Magazine and featured online with Don't Smile, AINT-BAD, and Lenscratch. 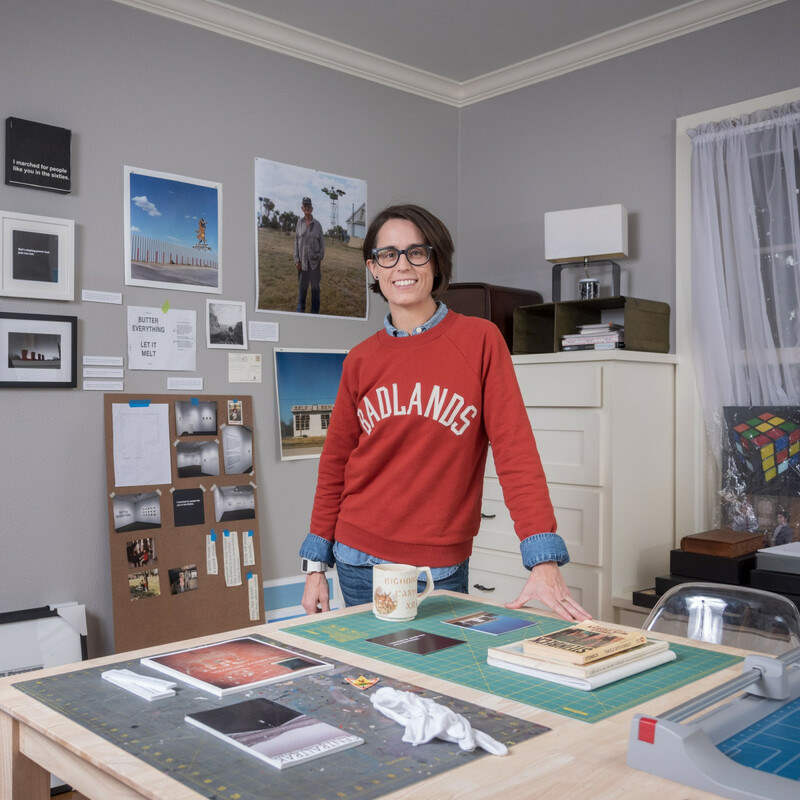 She is a member of both the Leadership Team for the Society for Photographic Education's LGBTQ Caucus and the Board of Directors for the Cedars Union, a non-profit arts incubator in North Texas. She currently lives in Fort Worth with her daughter, their four dogs, and a multitude of penniless cats. As a social practice artist, performer, and painter, Arnoldo Hurtado aims to educate audiences of their systemic and social impacts on communities of color through performance, storytelling, projects, and forums. A native of Fort Worth, Hurtado first studied painting at the Heritage Hut with the Brown family at an early age. He later graduated with a BFA in Drawing and Painting from the University of North Texas (2010), though his professional practice began in Cambodia where he dedicated two years volunteering with the Peace Corps (2011–2013). Since then, he has been traveling, teaching art, and organizing grassroots community initiatives. 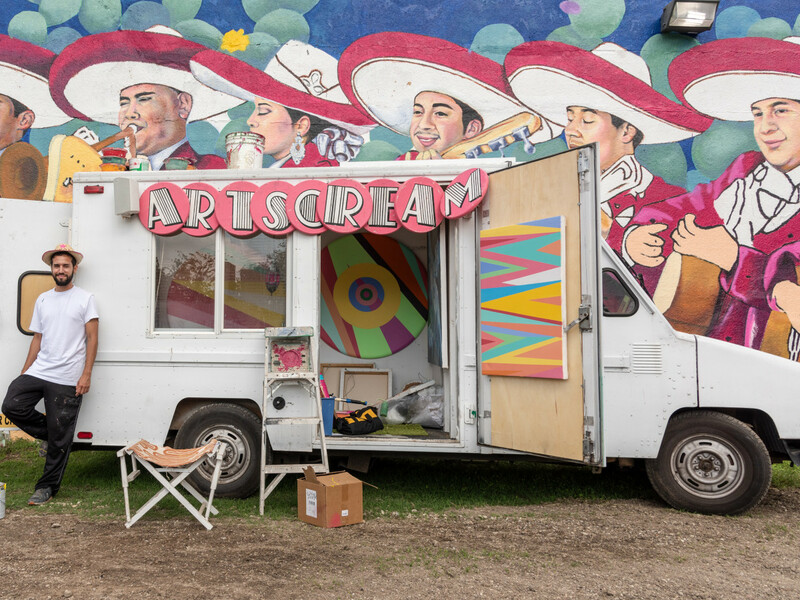 The concept of traveling to and learning from different communities is so ingrained in his work that in 2017 he transformed an ice cream truck into a nomadic studio space, the Artscream Truck, equipped to pop-up and present work or be a space for creating. 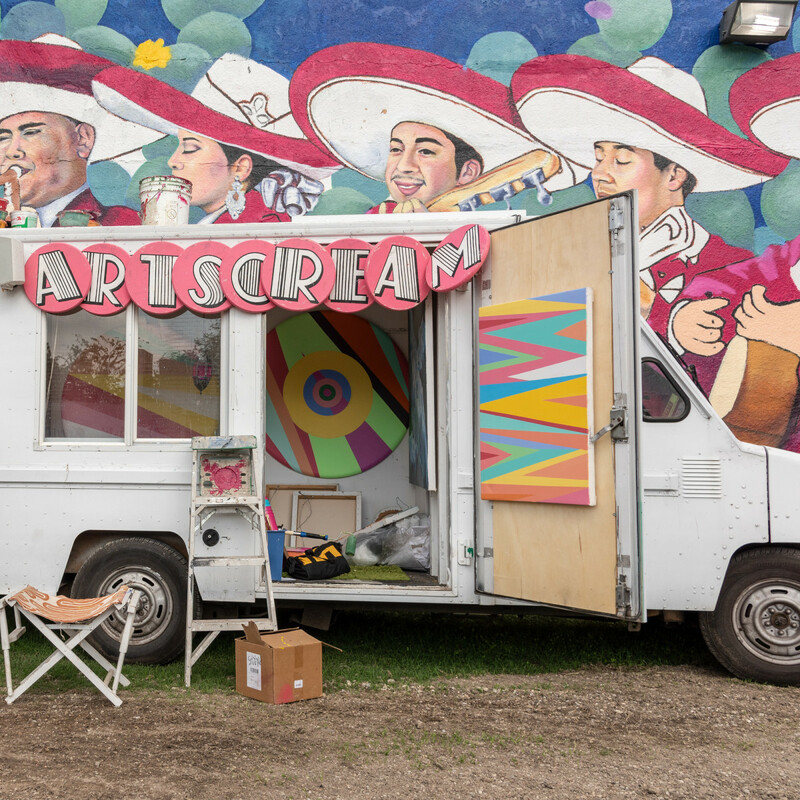 Hurtado was the inaugural recipient of the Sylvia Hougland Emerging Artist’s Fund from Make Art with Purpose (MAP), which supported the creation of a 110-foot community mural, Convivo, in his native North Side of Fort Worth.